U.S.-based casino operator and hospitality group Hard Rock International Inc is aiming to open its office in Tomakomai, in Japan’s Hokkaido prefecture, in the next couple of months, confirmed a company senior executive. “September is the plan” regarding the launch date for the office in Tomakomai, said Daniel Cheng, Hard Rock’s senior vice president for casino business development in Asia, in comments to GGRAsia. Hard Rock has declared itself a contender for a casino licence in Japan, with its executives suggesting that the company was best positioned – among the likely bidders – to link with local partners for a licence, given the group’s current presence in the entertainment sector in that country. In June, Japan’s state broadcaster NHK quoted Mr Cheng as saying that Tomakomai was “the most suitable location” in Hokkaido for an integrated resort. The executive added that the office in Tomakomai would also work to provide local residents with information about the casino industry, as well as to promote gambling addiction countermeasures. In his remarks to GGRAsia this week, Mr Cheng said that the company had not “disavowed any of the other [possible] locations” for a casino resort in Japan, despite the decision to open an office in Hokkaido. The Integrated Resort (IR) Implementation Bill was passed by the Japanese parliament’s lower chamber last month, and the recent extension of the ordinary session of the parliament boosted hopes that the bill could pass the upper chamber before the July 22 deadline. The bill proposes an initial cap of three casino resorts nationwide. Aside from Osaka, Yokohama and Wakayama, Hokkaido is among one of the locations being touted for an integrated resort, according to investment analysts. 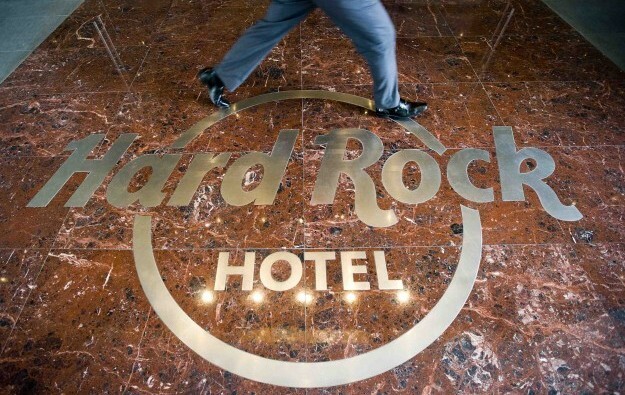 Japanese brokerage Nomura said in a note in April that it believed that Hard Rock had “an edge over other operators” for an eventual licence in Hokkaido.